A few months ago I had a reader send me a note about an oil finish that he said was better than any other oil finish he had tried. It's called Bush Oil. If you Google this you're going to be disappointed. Most of what comes up is concerning President George Bush and big oil. Since this is a woodworking site, I'm not going down that road. Jack, who sent me the information, told me where he got Bush Oil from. Lakeshore Hardwoods in New York carries it as well as Curious Woods, also in New York. I'm not endorsing the product because I've not used it myself, which is the reason for this post. I trying to get some more information on it. It sounds like a Danish oil type product. Anyone have experience with it, and if so, what's in it? I purchased some Bush Oil a year or two ago at a wood workers show in York PA because I was curious about it. They told me it is a derivative of Linseed Oil. I followed the simple directions and have been disappointed that I have not been able to find a place to buy more of this product. You will not be disappointed with the results. I thank you for the two dealers, so that I can order more. I too purchased Bush Oil at a wood workers show in Chantilly VA, and I was not disappointed. Our wood work went from " hey that's really nice" to " Holy cow, how did you do this". Yes, it's that good! I live about 20 mins from Amsterdam, Ny . This is where Bush Oil hails from. The curious woods store is located in a Curtis lumber store about 20 min in opposite direction. I was turned onto the product about two years ago and use it all the time. 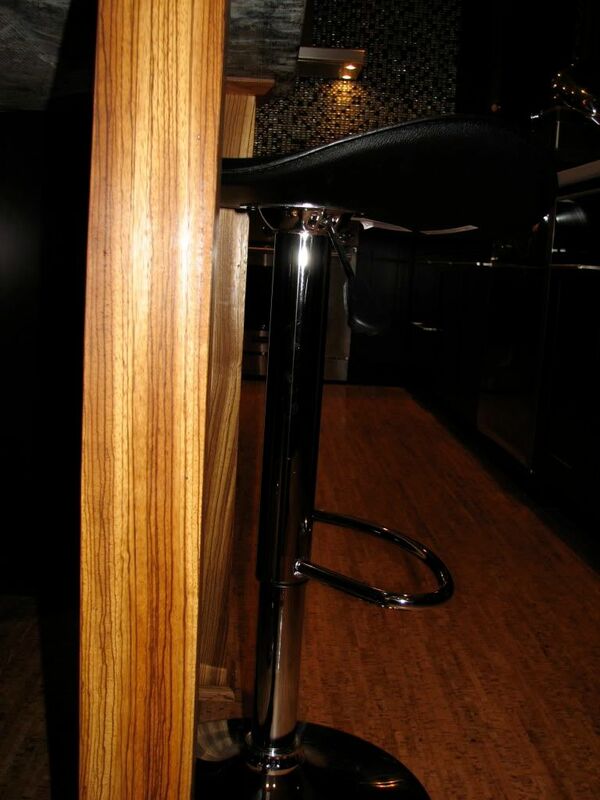 I am currently using to finish some custom mahogany wine racks we are working on in a proffessional setting. Also on a personal level I am (as i write this) I am using it to finish our new shaker style cherry/curly cherry coffee table I have been making for the last month. I can tell you that it is simply phenomenal! Outstanding proffessional results every time. You should stop working with wood if you manage to screw this finish up. It is that easy. Takes a clear, grain enhancing finish to a new level. I finished a cherry bookcase with only Bush Oil, and it continues ro patina and seems to look better every week without plowing its butter smooth texture or sheen. For the coffee and end tables I will allow to dry 3 days and then wipe on around 5-6 coats of poly for added protection from spills. As for what itsade of ...good luck finding out, but I hear it is a linseed oil derivative. I have a can from the basement that i recently used up that had a production date from early 09. Seems to have an outstanding shelf life:. Hope this helps let me know if you need anything else. Sorry for the mis spelling . I wrote the last post from my phone while waiting for a coat of bush oil to soak in. Another great characteristic is : your shop doesn't have to be sterile. This is a soaking in type finish that you wipe off...not one Tia sits on surface . This finish can be tinted and is almost impossible to contaminate. I purchased Bush oil at the wood show in Maryland this last weekend. I have the contact info for them. Craig, I live 1 mile from Lakeshore hardwoods here in Pulaski NY. Brian Leary, the owner turned me on to Bush oil a few years ago. I was building my wife a book case out of Santos mohagany and it has beautiful grains that I never knew it had till i APPLIED THE BUSH OIL. this stuff is amazing and would recommend you to try it. The sanding process is the key though. It is a five step process that on santos mohogany is a brutal task, but as long as you follow the reccomendations it applies a fantastic finish. The other great thing about it is if you get a scratch you just sand and reapply to that area. It is very easy to keep clean and like I said... it brings out the true beauty of all woods and realy makes the grains and figures look almost 3d. I was reccomended this stuff to use on some Zebrawood going in the kitchen at home. Now I use it all over the place. It's seriously amazingly awesome and super easy to use! Recently had new French patio doors installed -- they are unfinished pine that will need to be painted or stained. Someone suggested Bush Oil as an option but after reading postings here, I am worried that the inconsistencies in the pine grain will only be acentuated by the oild. The positive stories all seem to relate to better woods like cherry or mahoghany. Any advice or suggestions before we do anything? Thanks. I have read comments on Bush oil on woods other tha pine, but wonder if Bush is a good choice for clear pine doors in a living room. Grain is somewhat inconsistent -- heavily grained on bottom of one, side of another and then some panels relatively grain free. Assume stain would only accentuate imperfections but wonder about oil finish -- and is Bush Oil better choice then Tung Oil or Linseed or are they all the same? Thanks. I'm not sure that I would use Bush oil on pine. I have never used Bush oil myself, but most oil like products don't look good on pine. 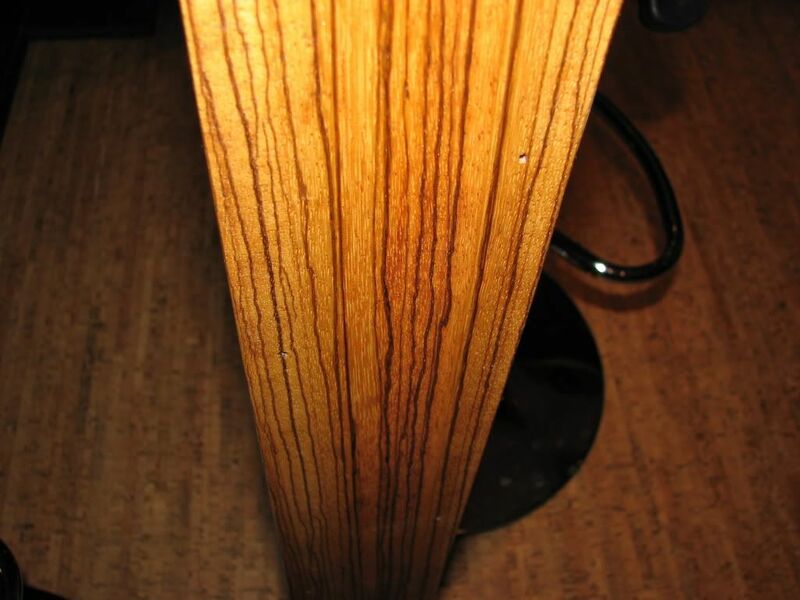 If you're looking to add color to the pine, I would suggest using a gel stain. It doesn't tend to make the wood look splotchy.